After what seemed an unusually wet and cool spring, summer is off to a great start here in Connecticut. Temperatures and humidity have been moderate, and the rain consistent but not disruptive. Very pleasant overall. Hiking with the dogs has been great. And Riley, our youngest at just two, is maturing into a good, reliable hiking dog. I hope you all are having as nice an early summer as we are. Enjoy and stay safe. 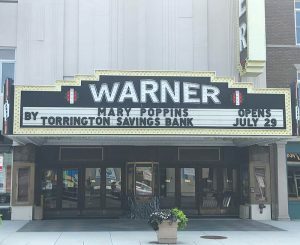 Barron Financial Group was again a major sponsor for the Warner Theatre’s annual Gala event in late May. The Gala is the Theatre’s major fundraiser. It is a fun, well-attended and extremely well-organized event. I’ve been on the Theatre’s Board of Directors for two years, and have learned much about the Warner along the way. Sandra and I attend a number of shows each year, and we remain firm believers in the Warner Theatre. It is a community treasure and an important part of Torrington’s economy. Learn more at www.warnertheatre.org. Stocks performed well across the world in the second quarter. The U.S. rally continued with the S&P 500 up +3.09. For a second consecutive quarter, international and emerging markets both outperformed the U.S. with international up +6.12 and emerging up +6.27. This puts global outperformance of the U.S. at around a six-month duration, which might be early to confirm a trend, but it is getting to be a more likely bet. The bond market was also up at +1.45 for the quarter. The controlled pace of interest rate increases has allowed the bond market to adjust accordingly, much as I’ve suggested in the past. After last quarter’s healthcare bill defeat in the House of Representatives, I suggested we might see a shift toward tax policy in the second quarter. But no such thing happened. A new version of the GOP healthcare bill was created and did pass House voting. It is now being taken up in the Senate. The Senate has chosen to start-from-scratch to create its own bill, which if it passes Senate voting, will have to go back to the House for re-negotiation and voting. The Senate is relying on a legislative voting rule called “reconciliation” to allow a majority-only vote. Reconciliation has budget impact rules that confines the degree of fiscal change allowed in a bill. The GOP is following the same partisan path the Democrats took in 2010 when they passed Obamacare. Pure partisan legislation has predictable, results. Will they ever learn? The Federal Reserve (Fed) raised interest rates in June and I don’t expect we’ll see another increase in the third quarter. My guess is the next increase, if there is one, will be in the fourth quarter. I remain in the camp of not seeing a recession for the remainder of 2017. Growth remains moderate and the labor market stable. Surprisingly, the low unemployment rate has not dramatically affected wages, but I suspect that may start to change by the end of this year. Politically, the process I described above for the GOP healthcare bill will drag through the summer. Finding common ground between the House and Senate will take months. In the meantime, tax reform will go idle. But don’t call it dead just yet. My stock momentum indicators shifted from U.S. to global in late May. I started shifting portfolio stock investments more in the global direction in early June. My plan is to keep that strategy in place this quarter as other indicators suggest U.S. stocks are losing their dominance. My bond market indicators suggest a momentum shift toward safer U.S. Treasuries. That indicator is not as well supported by my other bond analytics, so my bond investment changes have been moderate. While it’s far from exciting, I expect the moderate growth we’ve seen over the last several years will continue. My equity strategy is to remain fully invested, moving to neutral on the U.S., and reducing the underweighting of International and Emerging Markets. In fixed income, I remain invested with greater exposure to credit paying higher yields. I am neutral on Alternative investments.